Containing just 2 basic knots. it can be a pendant or a part of your work! 2 round sphere beads for eye. 1 UFO shape bead for mouth. 1 stick for owl standing. 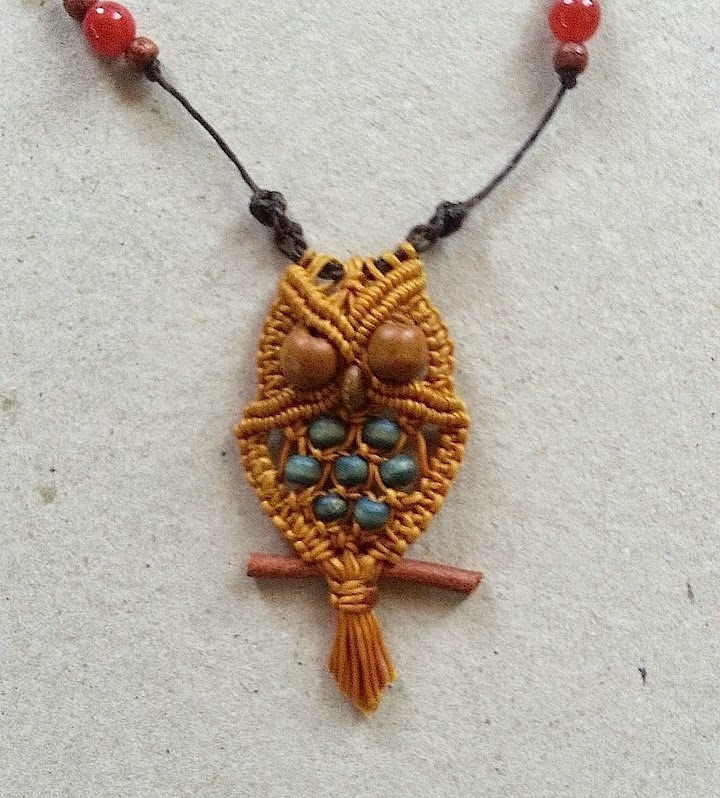 For necklace line part :You can use any thick cord to be a necklace line such as leather cord, or braided waxed cord. Use 10 cords, to tie the owl. Arrange the folding point in the middle of necklace line part. Start with 4,5,6,7 cords. Tying cord 4-7 in first square knot with 6 fillers. Separate the cord in2 group left and right . Each group will have 10 cords. Start with left group. 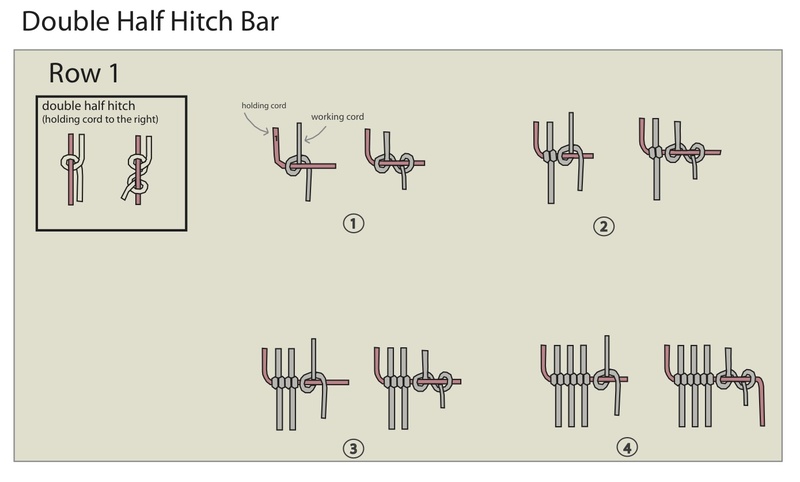 Tie the double half hitch bar, the holding cord will be on the leftest, tie the holding cord to the right in Diagonal direction. Tying First square knot by working on cord 1-5. 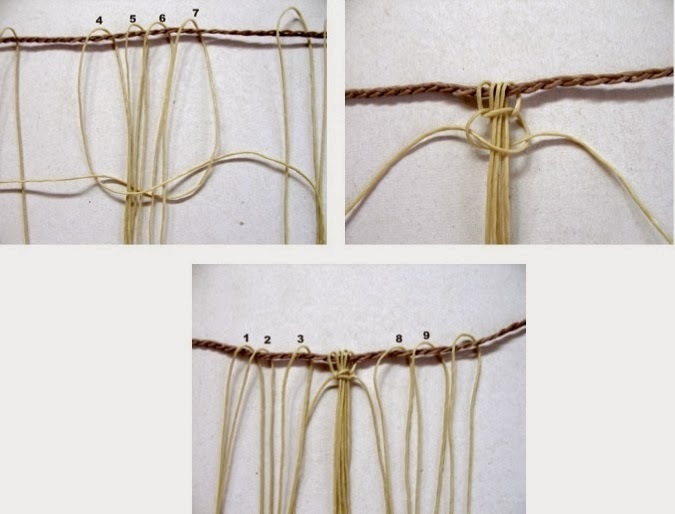 Tying cord 1,5 with 3 fillers (cord 2,3,4 are fillers). Tying Second Square knot by working on cord 1-4. 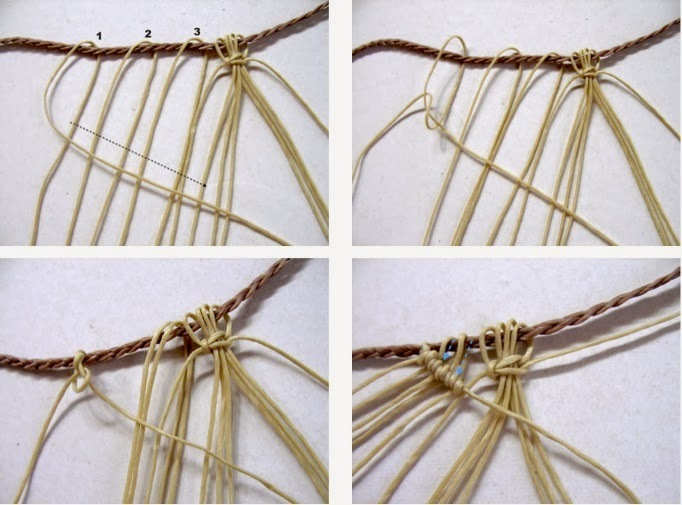 Tying cord 1,4 with 2 fillers (cord 2,3 are fillers). Tying more Square knots ,third to sixth. Tying haft hitch knot using 6,7 cord. Then put a sphere bead into 7 cord. Tie the double half hitch bar, the holding cord will be the 8 cord, tie the holding cord to the left. Continuing same method with the right group.you will finish the eye part. Separate the middle group of cords in 4 strings. Tying square knot by working on cord 1-4. Put cord 2 and 3 into the UFO bead as in the picture. Then Start with left group. Tie the double half hitch bar, the holding cord will be the left side of square knot in the middle, tie the holding cord to the left. Then work on the right group. Tie the double half hitch bar, the holding cord will be the right side of square knot in the middle, tie the holding cord to the right. Separate cords in 5 group, each group will have 4 cords. Tying 3 square knots on group 1 and 5. And 1 square knot on group 2, 3 and 4. Put 2 cords into the beads as in the picture. Then tying 1 square knot around the beads. Move to the lest side, Tying first Square knot with 3 fillers. and continue tying more 3 square knots. Then make the same method with right side. Put 3 more beads as in the picture. And tying square knot with 2 fillers to secure the beads. Put last 2 beads as in the picture. 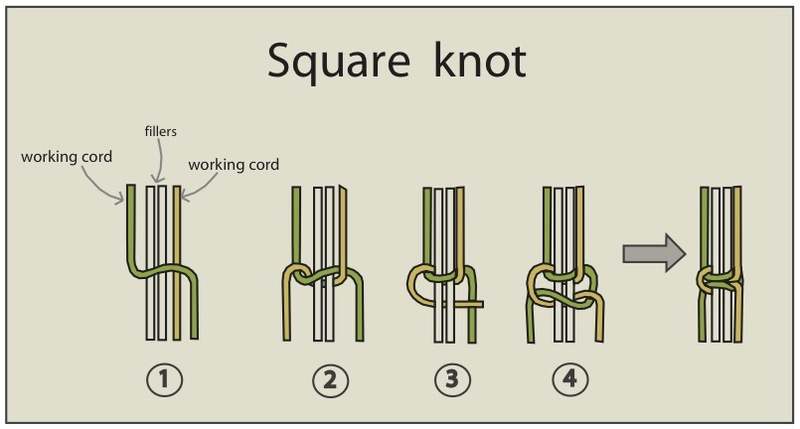 Move to left group, Tying first square knot with 3 fillers, the second square knot with 4 fillers. Then tying Third square knot with 5 fillers , and forth square knot with 6 fillers. at the middle of the work, tying 1 square knot with2 fillers. Put a stick between 20 cords. Tying 2-3 square knots to secure the stick. Cut the rest of cord, and cut and burn the working cord of square knot. Thankyou for such very clear instructions which will inspire me to try for myself.